Blathering blatherskite! 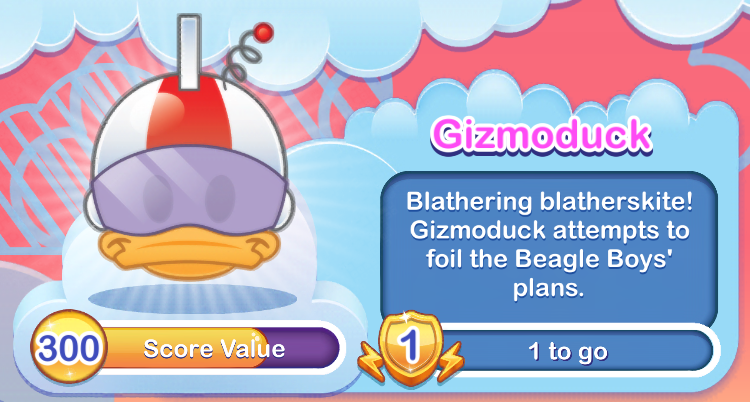 Gizmoduck attempts to foil the Beagle Boys’ plans. Those bumbling Beagle Boys won’t get away with their crimes as long as Gismoduck is standing watch! His high-tech inventions will stop them in their tracks and return the coins to your bank. 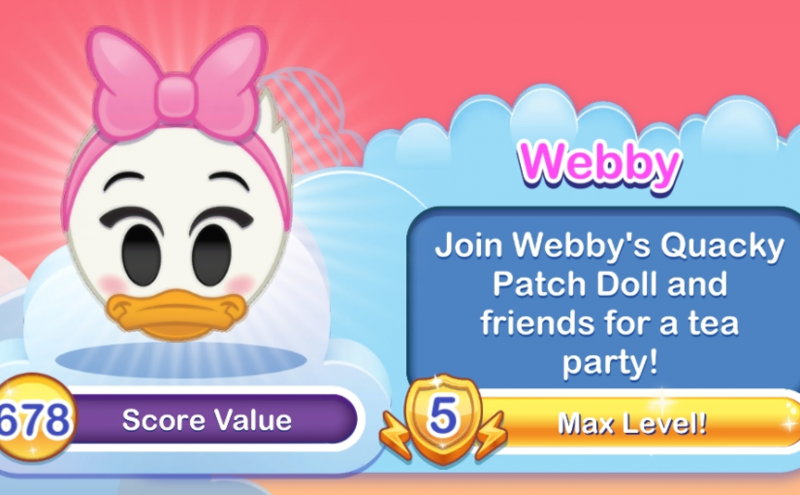 Join Webby’s Quacky Patch Doll and friends for a tea party! Gee! It’s a tea party! Each time you use Webby’s power, she will serve tea for two more stuffed animals. Finally, she will serve herself and spread hearts on the board. 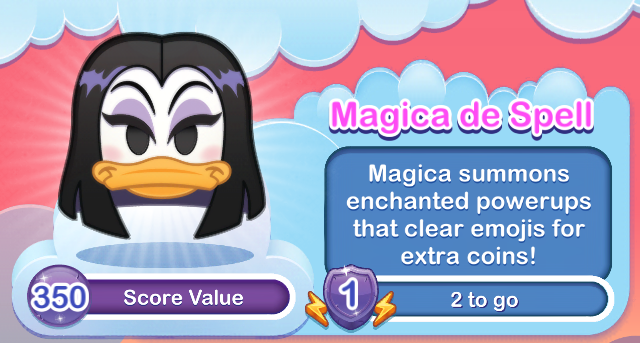 Magica summons enchanted powerups that clear emojis for extra coins. Magica de Spell hopes that nothing will stand in the way of what she wants most in the world – and that is not to turn her brother Poe back into a human. 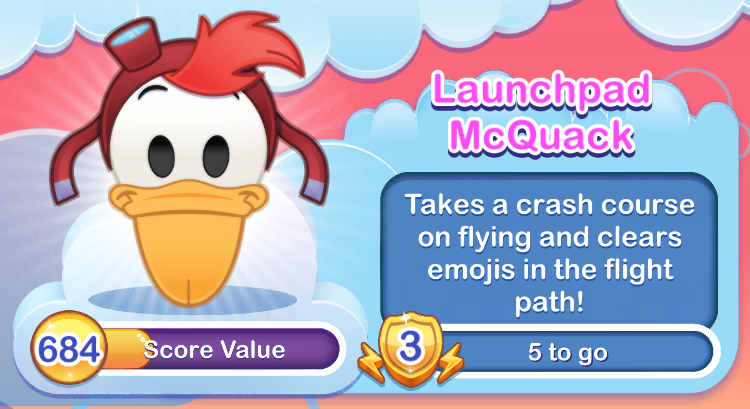 But since she cannot have Scrooge McDuck’s Number One Lucky Dime, these special powerups will release coins when their power is used. Try to pair these as combos – with another Lightning Cloud, Sunshine, or a Rainbow Star – to release even more coins. 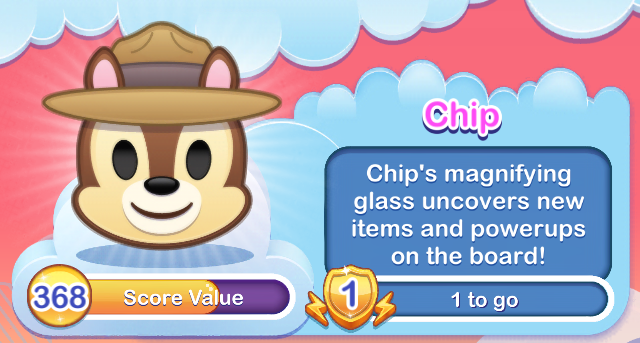 Chip’s magnifying glass uncovers new items and powerups on the board! This gumshoe is pickin’ up the slack. Chip will find items and powerups for you. The Ranger Plane flies through, clearing emojis near the bottom. 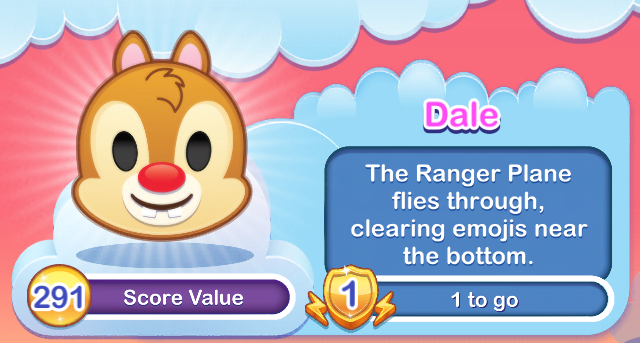 Gadget Hackwrench, Monterey Jack, and Zipper accompany Dale on the Ranger Plane. Helping others is what they do. Aw, shucks, it’s nothing. Dives into the Money Bin! Clears emojis and gets a bunch of extra coins! After working his way up the financial ladder of life, what better way to pass the time then by diving into his money bin?! 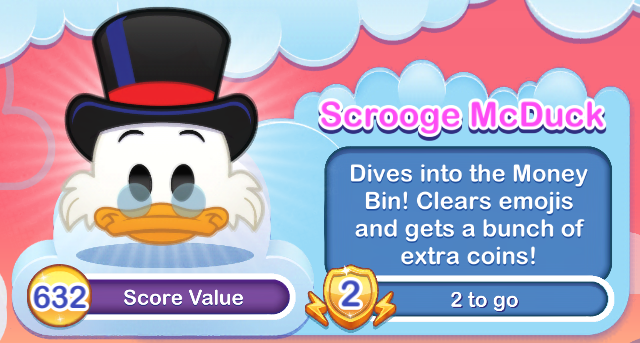 Scrooge takes the leap onto the gameboard, clearing emojis and yielding coins for you. Takes a crash course on flying and clears emojis in the flight path! What’s a flight with Launchpad without a crash landing! He clear emojis as he flies across the board. At first it’s just a plunging dive, but as you level him up, he does a loop-de-loop! 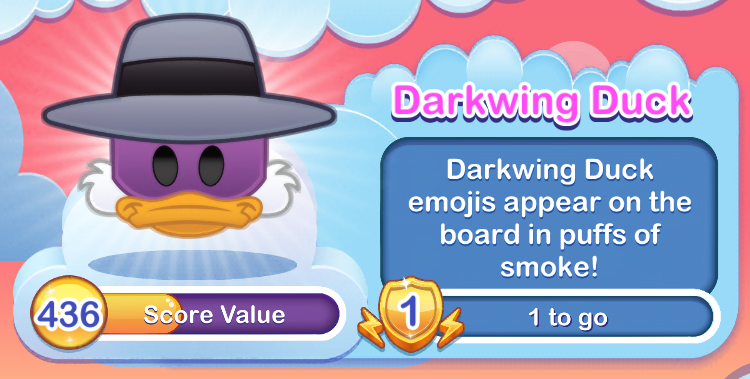 Darkwing Duck emojis appear on the board in puffs of smoke! 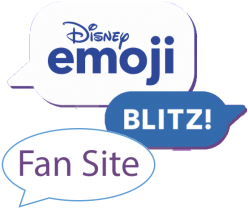 Amid the puffs of purple smoke, additional Darkwing Duck emojis appear on the third-from-the-bottom row (at least at Level 1).